We just came home from a wonderful family vacation. While we were away I was surprised at how much our daughter missed our projects. Whenever we were back in the hotel room, Mai would want to make a craft. 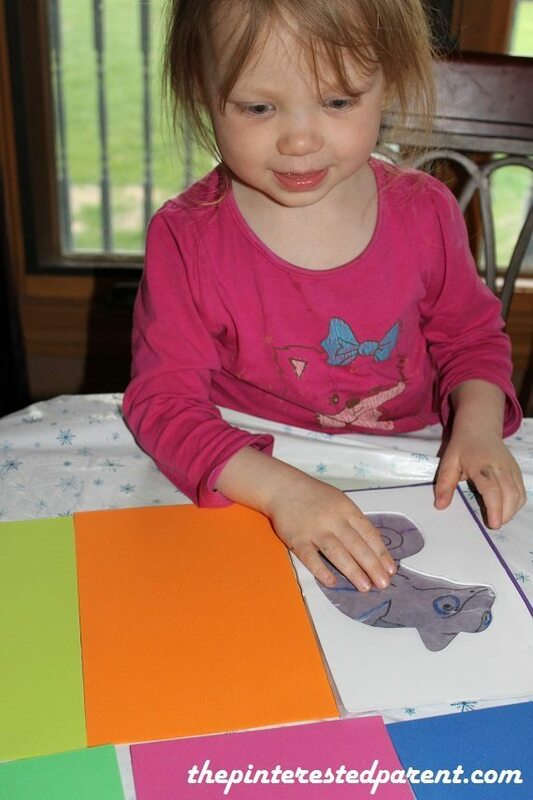 While I did not bring craft supplies, I did bring drawing materials to entertain her. These fulfilled her need to create. Today was our first day home & Mai was eager to jump back into arts & crafts. 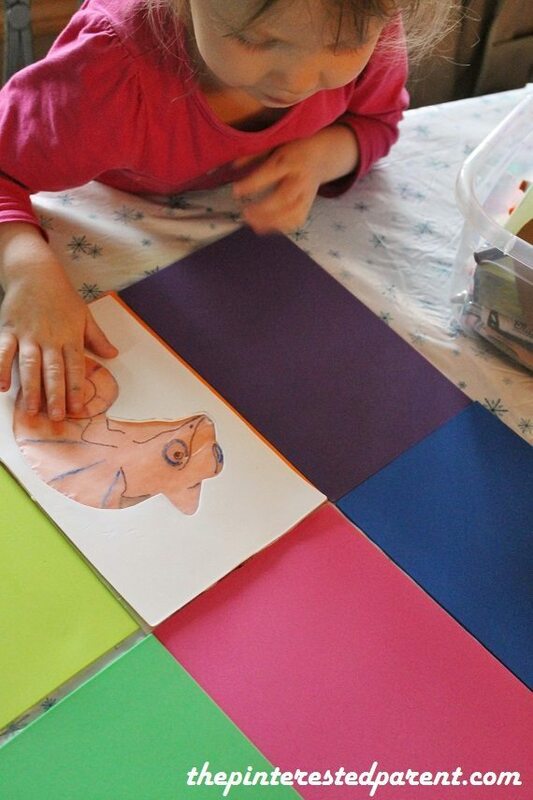 She asked if we could make chameleons. My husband came up with a great idea to make our chameleons on wax paper,, so that they would actually work like a chameleon & change color with their environment. 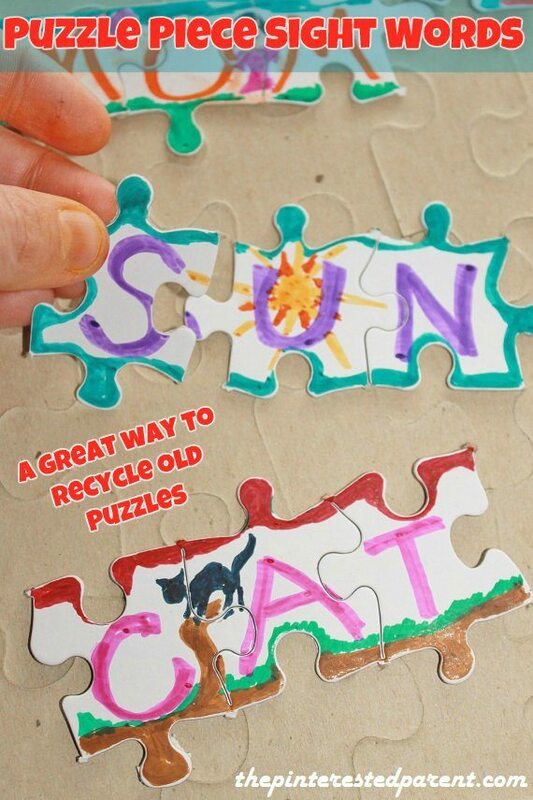 What a clever man I married. We drew out the chameleon on a piece of wax paper. I have attached a traceable. 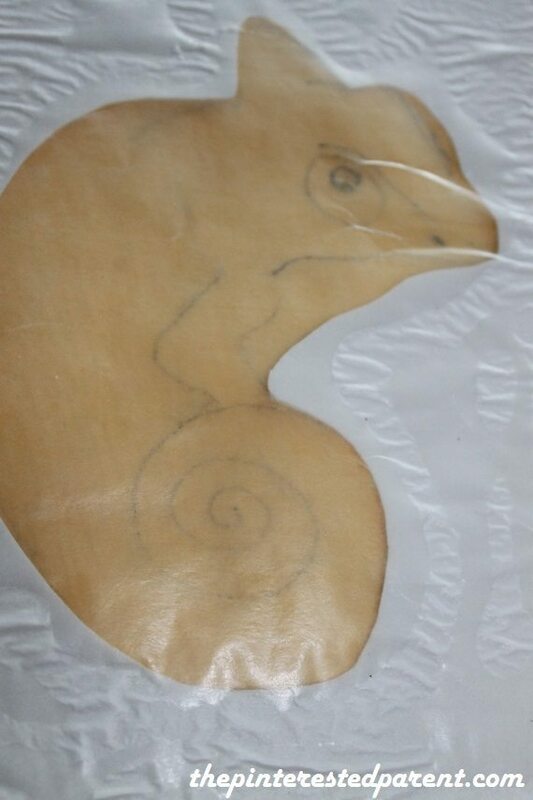 You may put this under the wax paper & trace it out. 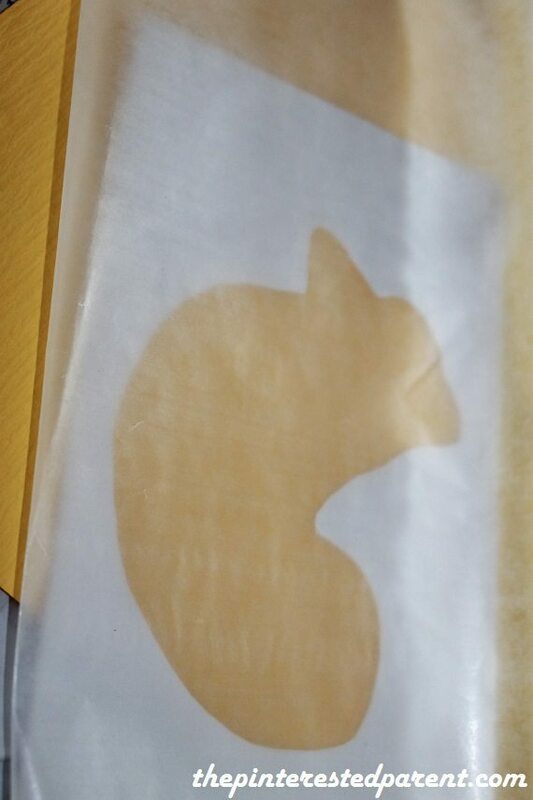 Cut out the wax tracing & place on a foam sheet. 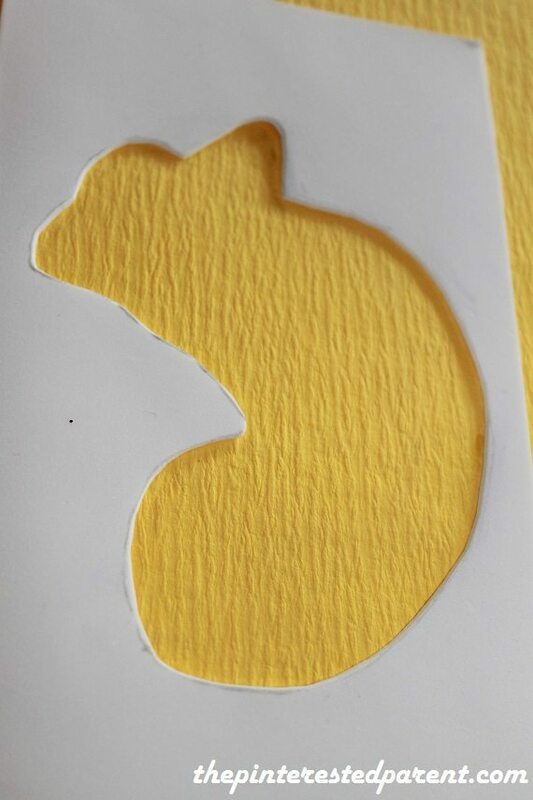 Trace around your cutout & cut out the middle portion of the tracing. 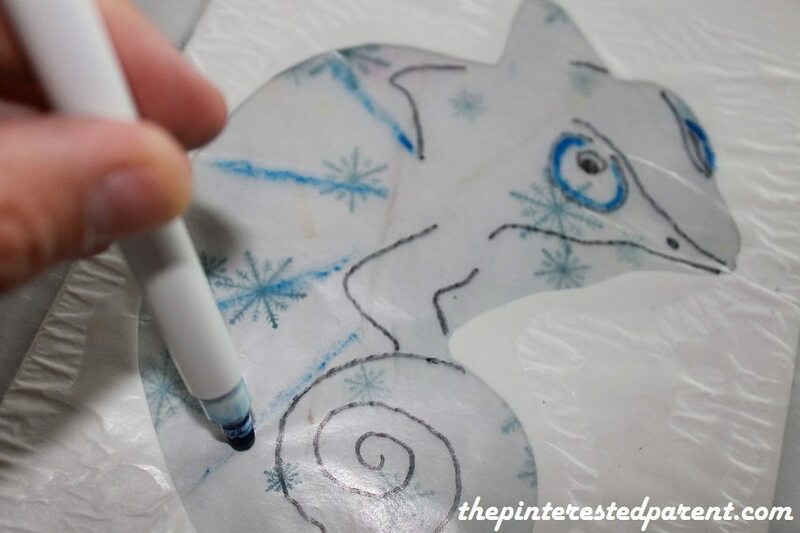 Glue a sheet of wax paper to the foam sheet & trim off any overlapping edges. 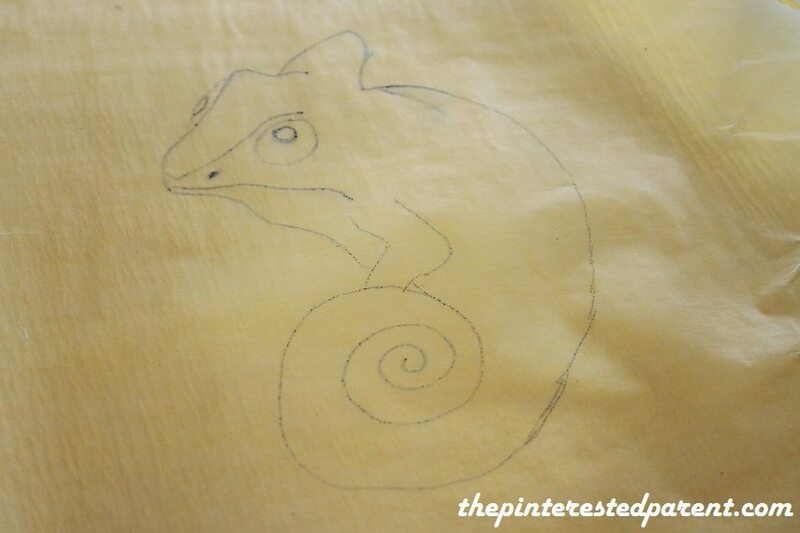 Use the original wax paper cutout to trace out the chameleon’s features. We used a Sharpie to trace & colored markers to add a bit of color. 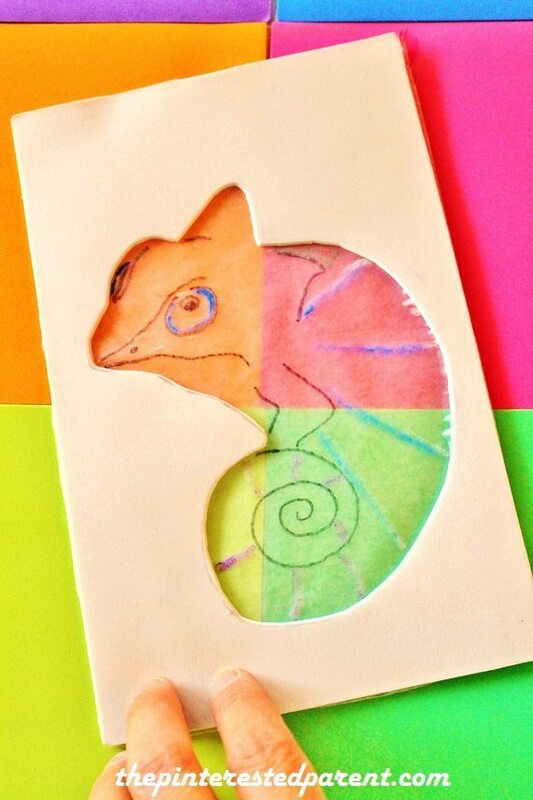 Lay out different colored construction paper & place you chameleon over the top & roll over the different colors. I love you girls always great fun creations!